Frankfurt. Free City Taler 1716 IIF, KM179, D-2217, MS63 NGC. Sharply struck with light reverse scratches and traces of luster. A very scarce one-year type. 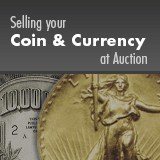 We will be using HA in the future for some of our numismatic sales, thanks for all the help and guidance!